Check back soon for updates on Kickstand’s Workshop Series! Are you interested in workshops for your business? Improv classes, workshops, and shows that come to you! "We believe everyone can benefit from taking an improv class. It is a fun way to get out of your head, connect with people and reduce stress. We want to make it easy, so we will come to you and teach class at your work!" Email kickstandpdx@gmail.com to learn more! This workshop is for intermediate or advanced improvisers. Attendees of the Instinctual Improv Workshop must have completed the Kickstand Training Center Level 3 course, or have been given instructor approval. If you have questions or are unsure whether or not you meet the prerequisites, please email Kickstand Comedy at kickstandpdx@gmail.com. 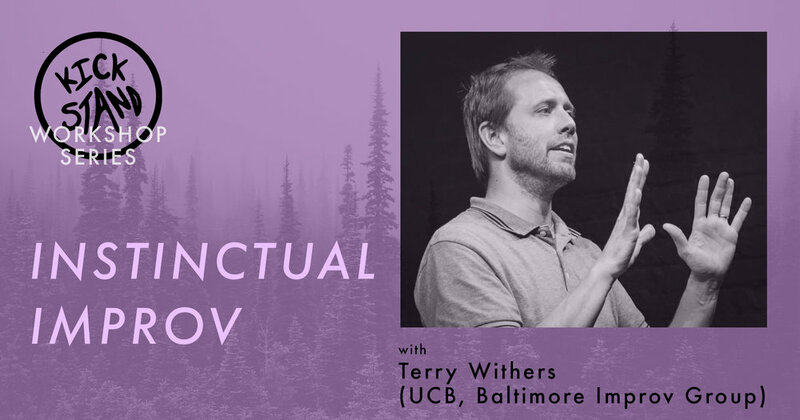 Terry Withers began studying long form improv at the UCB in early 2007 where he has been lucky enough to train under such luminaries as Zach Woods, Joe Wengert, Charlie Todd, Erik Tanouye, Anthony King, Will Hines and Michael Delaney. Terry has also studied with Armando Diaz and owes a lot to coaches Kevin Hines and Russ Armstrong who have left their indelible imprint on him. Terry currently teaches improv as a faculty member at Baltimore Improv Group and and tours the nation with different improv shows. He is proud to serve as Managing Director of Baltimore Improv Group. 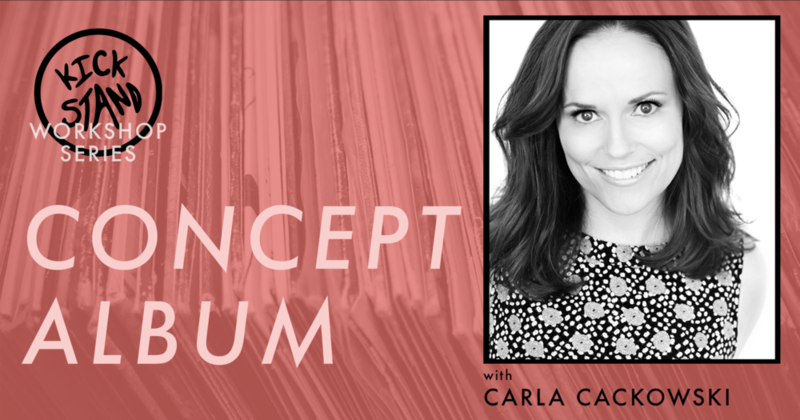 Learn from celebrated teacher and performer Carla Cackowski in this one-time-only, 5 hr workshop. "Concept Album" is an improv form where the ensemble presents three different album options for the audience to vote on. The ensemble then improvises over the music. Through physicality, point of view, and relationship dynamic, the improvisers create a totally improvised show in combination with the tempo of the album's previously recorded tracks.